The playing field for the inaugural World Ladies Championships (WLC), which will take place from Friday 2 to Sunday 4 March 2012 at Mission Hills, Hainan, has been announced. It includes a number of leading players from the Ladies European Tour (LET), such as England’s Melissa Reid and South African Lee-Anne Pace. Also scheduled to compete are the best Chinese players like Shanshan Feng from the LPGA Tour. Leading amateur Lydia Ko – one of the youngest ever players, male or female, to win a professional event will also participate. Conceived by Mission Hills, the WLC is a new, ground breaking event designed to support the further development of tournament golf – both in China and around the world – ahead of golf’s return to the Olympics in 2016. The Championships, to be played on the Mission Hills, Haikou Vintage Course, will adopt a unique three-in-one game format that will see players competing as individuals as well as for the pride of their country. There will be concurrent, 54-hole competitions in three categories – individual professional stroke-play, individual amateur stroke-play and professional teams. As the event is a stroke-play competition, professional players taking part in the team event will be competing against their playing partners in the solo competition for the Individual Professional title. The Professional Team competition will see Melissa Reid, who finished second on the LET money list in 2011 and won two LET tournaments, join forces with up-and-coming compatriot, Florentyna Parker. Reid said: “I’m really excited to be coming to Mission Hills Hainan for the World Ladies Championships. I’ve never been to Mission Hills before and I’ve heard so many great things about it that it will be good to finally see it for myself! Reid and Parker will face tough competition from South African pair Lee-Anne Pace and Ashleigh Simon, who won the 2011 Portugal Ladies Open. Pace had a fantastic season in 2010 when she won five LET titles and finished top the order of merit. After posting nine top-ten finishes and three runner-up spots in 2011, she will be keen to break into the winner’s circle again. A player who has already made her mark in Hainan is Frances Bondad, who won the 2011 Sanya Open and she will team-up with fellow Australian Nikki Garrett. An amateur player grabbing the headlines at the moment is New Zealander Lydia Ko. The top-ranked golfer in the women’s World Amateur Golf Ranking (WAGR), Ko last month became one of the youngest ever winners of a professional tour event with a four-shot victory in the Women’s New South Wales Open. 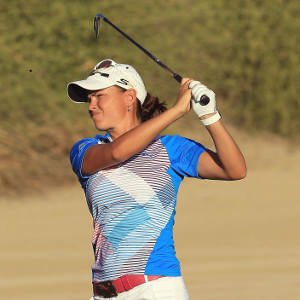 January also saw her become the youngest winner of the Australian Women’s Amateur following a second place finish in the Australian Women’s Stroke Play Championship. She will compete in the Individual Amateur competition as one of eight elite amateurs in the field. With golf returning to the Olympic Games in 2016, Ko believes that the WLC provides her with a great development opportunity: “I think getting amateurs to play with professionals is only going to be good for the game: it inspires us to work harder and realise that we are not far off their level. Co-sanctioned by the LET and China LPGA Tour, the WLC will offer a total prize purse of US$600 000. Its field will feature 108 elite players, from the LET, as well as the LPGA Tours of the US, Korea, Japan and China. Tenniel Chu, Vice-Chairman of Mission Hills Group said: “On behalf of Mission Hills I am delighted to welcome all the players to the inaugural World Ladies Championships at Mission Hills Hainan.